Rohit Kachroo is one of the receipients of top 100 CISO awards 2013. 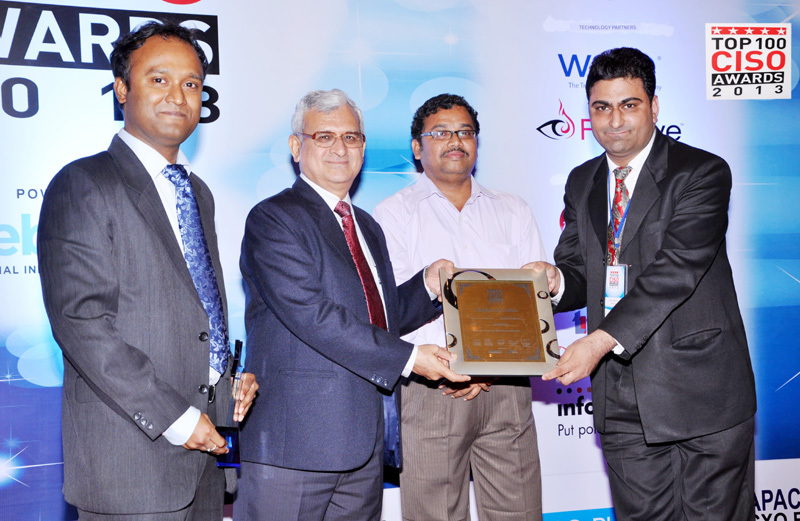 This award is considered as Most Prestigious Award for IT Security Professionals in India. Rohit represented his company Indiabulls Group. This award is to recognize and honor India's most innovative and talented Information Security professionals across India. Winners have included executives from large private companies, PSUs, Leading Multinationals, Government, reputed national institutions etc. The award ceremony was held on June 14th in Mumbai-India. The 3rd Annual 'Top 100 CISO Awards' will felicitate 100 organizations (and the people within them) that are using information security technology in innovative ways to secure their business and mission critical information in the most effective manner and deliver business value, by creating competitive advantage, optimizing business processes, enabling growth or improving relationships with customers. The ‘Top 100 CISO’ award is an attempt to recognize the contributions that these extremely talented executives make that has such a huge impact on our businesses. This is the first of its kind award that has been conceptualized by India's only print magazine focused exclusively on Information security – ‘InfoSecurity’ Magazine and iViZ Security, industry's first cloud-based penetration testing sevice for web applications. Heartiest congratulations to dear Rohit ji for his great achievement...Aahee!